Alice in Chains will play atop the Space Needle next week. For a brief moment next week, we’ll get to witness Seattle at its best. Alice in Chains will play atop Seattle’s Space Needle on August 21. They’ll be the first band ever to play on the Space Needle’s new “Loupe,” which is the world’s first revolving glass floor perched 500 feet in the air. The iconic tourist destination just underwent a massive remodel. The stunt kicks off a 32-city world tour and the debut of a new album, “Rainier Fog,” The name is a tribute to Seattle, where the band recorded. The album, the first for the band in five years, comes out on Aug. 24. 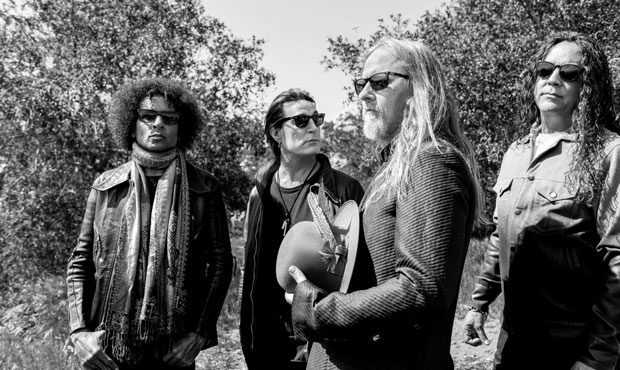 Alice in Chains will play in Vancouver on Aug. 22 and return to the White River Amphitheatre on Aug. 25. The Seattle Mariners are paying tribute to the band on “Alice In Chains Night” – August 20. Maybe you’re thinking, “but I thought Layne Staley is no longer with us?” You’d be right, albeit a little late. Staley died in 2002 after a long battle with substance abuse. William Duvall joined the band in 2006 as the new vocalist, along with Jerry Cantrell. Mike Inez is on bass and Sean Kinney on drums.